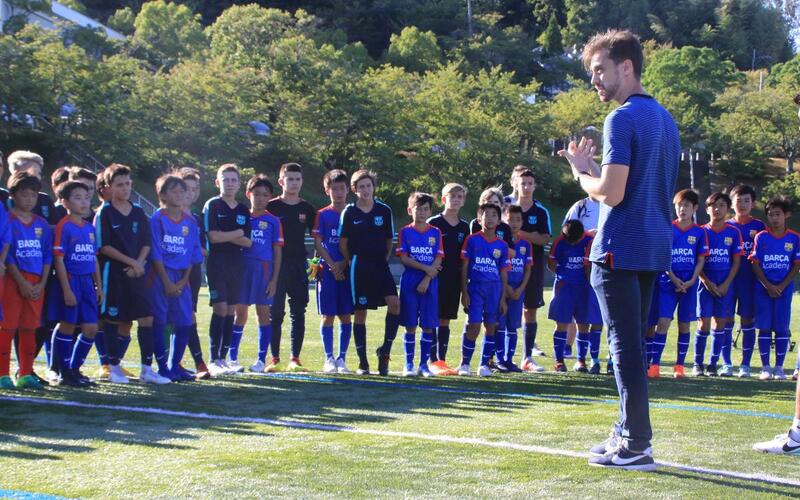 The children of Barça's U14B team and the 12-year-old players of the Barça Academy of Nara, Fukuoka and Katsushika, participated in a joint clinic, led by the U14B coach, David Sánchez , and held at the facilities of the Barça Academy of Nara. The first hour of work concentrated on the Barça methodology of possession and position, whilst the second hour saw the U14B players play a 15 minute match against Barça Academy of Fukuoka (1-0), Katsushika (4-0) and Nara (2 -0). "I want to thank, on behalf of the three schools in Japan, the presence of Barça U14B. For our players, we are proud to be able to share a training session with them" said Andreu Cerarols, local project director at Barça Academy Katsushika.